Consumer Village Survey Review: Is It A Scam And A Waste Of Time Or A Legit Opportunity? Answering surveys are probably the most common opportunities that you will find when it comes to making money online. There are a lot of websites out there that offer surveys as their main, or at least one of the ways, people can make money with their sites. Now, this is not that surprising, considering that there are a lot of brands and businesses that are looking to gather information about their consumers to help them improve their products and services. Not all survey sites, though, are legitimate and worth your time. There are some that pay too little and only provide you with a few surveys where you will likely earn less than $5 a month. Other survey sites are just a scam that will not pay you anything. To avoid scam sites, we provide you with reviews of these types of websites to tell you if they are worth your time or not. For this review, we’ll be talking about the website called Consumer Village. It’s a site that will pay you in points, cash or tokens for participating in one of their studies. The amount of money you can earn here will depend on the kind of study that you participate in. It is likely that you will earn about $5 a month, or less, with this opportunity. But is Consumer Village a legit opportunity or just another scam? Consumer Village, which was established in 2007, is a market research website that offers an opportunity to earn by participating in some of their studies. They offer an opportunity to earn via answering surveys and participating in focus group discussions. Based on what I’ve seen so far, it looks like the website is legit. There have only been minor issues with the company and delayed payments or not paying the correct amount. Most of the people who tried this opportunity didn’t experience a problem with the payments. The main issue with Consumer Village is that becoming a member is not that easy. You need to be invited first before you are able to register and become a member. This was not the case before, but things seemingly changed after it was acquired by the market research company Gongos. As for the earning potential, it is hard to accurately predict how much you can really make here. You will see why, as we progress further in this review. Who Uses the Consumer Village Survey Website? The Consumer Village website is made for two groups with one being people like you who are looking for ways to make some extra money. The other group are brands and businesses that are looking to get more information from the right consumers to help them with product development. For brands and businesses, the company provides them with the right people for the surveys or group discussions that they will be conducting. Consumer Village doesn’t just allow anybody to be a member, as you would first need to get an invitation to be able to register. The site is also now owned by market research company Gongos, ensuring that Consumer Village will continue to evolve and adapt to the changing world of market research. For people like you, the company offers an opportunity to earn rewards and cash just by answering surveys or participating in focus group discussions. The site will pay you in tokens for completing surveys and cash for completing focus group discussions. The tokens can be redeemed for Amazon gift cards or used to enter monthly sweepstakes for a chance to win cash. You get paid in cash for participating in focus group discussions. In the next section of this review, I’ll discuss in more detail how you can make money with Consumer Village. How Do You Earn With Consumer Village? Consumer Village offers only one way for you to earn, and that is by participating in the studies that they are conducting. They conduct two kinds of studies, surveys and focus group discussions. 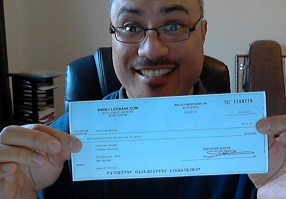 You get paid in tokens for answering surveys and you get paid in cash for participating in focus group discussions. Surveys are the most frequent studies that you will get. The company will send surveys that you will answer on the web or on your mobile device. The tokens you receive for completing a survey will vary. Research, though, showed that you will likely receive about 75 to 200 tokens per completed survey. To be able to answer surveys, you will need to wait for Consumer Village to send you survey invites. The beauty of this opportunity is that the rate for qualifying for a survey is high. A lot of survey sites will usually have qualifying questions first that you need to answer before you are allowed to participate in a survey. These questions will determine if you are really qualified to answer the survey or not. With Consumer Village, a lot of the invites they will send you are the ones that you are likely to qualify for. You can expect to qualify for more than 90% of the survey invites they send you, which is a good rate compared to a lot of survey invites out there. Now, the tokens you earn can be redeemed for Amazon gift cards or used for the monthly sweepstake. The minimum gift card you can redeem is $5 for 500 tokens. This means 1 token is equivalent to $0.01. It’s not clear how many tokens you will need to participate in the sweepstake, but it will give you a chance to win $10. It’s not mentioned how many survey invites you will get from the company. But from what I’ve seen, the frequency won’t be that high. You will probably get about a couple of invites a month from this. Once in a while, Consumer Village will invite you to participate in a focus group discussion. Here, you will get paid about $15 to $75 and you will get paid right after the study has concluded. Though the pay here is good, focus group discussions are a bit rare, and you can likely expect to get about less than 5 invites a year. Becoming a member is free and you only need to be 18 years old and reside in the U.S. But as mentioned above, it seems like Gongos has changed the way people can sign up. Before, you would just need to provide an email, a username, a password, and your timezone. Now, you will need to be invited first before you are able to register. I’m not really sure how you get invited, as Gongos website doesn’t really help either. There is a Connect tab on Gongos site where you can contact them for inquiries. There is also a tab about the Survey / Study Participants, which I’m guessing is the way to get invited to become a participant. After learning more about Consumer Village and what they are offering, it’s time to talk about what I liked about this opportunity. The first thing that I liked about Consumer Village is that they will send you survey invites that you are likely to qualify for. This means that you will have a higher chance of being able to participate in a survey that you are invited to. My research has shown that you can expect to qualify for more than 90% of the survey invites you will get. Another thing that I liked about Consumer Village is that the pay for participating in a study is higher compared to other survey sites. A lot of survey sites will usually pay about $0.30 per completed survey or even lower. With this opportunity, you get to earn at least $0.75 to as high as $2 per survey (if you convert the value of the points). If you participate in focus group discussion, the amount of money you can earn will be even higher, as you can earn as low as $15 per FGD. Of course, not everything is good and well with Consumer Village, as there are also things that I didn’t like about them that they could improve on. The first thing that I didn’t like about Consumer Village is that their website lacks a lot of information. If you go to their homepage, you will only see the login page of the website. There’s nothing about the company, a FAQs page, or even a contact page. If you don’t have an account the only thing you can do is to click the sign-up button to register and become a member. Another issue I have with Consumer Village is that becoming a member will require that you receive an invite to register on your email. Then that email will be the one you will use to sign up to the website. This means that you can’t just go to their website and sign up whenever you like. You would need to secure an invite first, which I’m not really sure how you can get one other than inquiring at Gongos’ website. I also didn’t like that the income potential of Consumer Village is very low. Since the invitation to participate in answering surveys or focus group discussions is very rare, it is really hard to earn consistently with this website. There’s really no information regarding how many surveys or FGDs you can expect to get with this opportunity. But my research revealed that opportunities to earn won’t be a lot and you will likely be able to redeem your tokens once per several months. Do I Recommend Consumer Village Survey? From what I’ve seen so far about Consumer Village, I can say that it is an opportunity worth checking out, but not really recommended. I don’t really recommend it since its income potential is low and becoming a member is actually a challenge. Invites for survey or focus group discussion are very rare. A lot of people experienced being able to cash out after several months of using the site, so earning consistently with this site doen’t seem impossible. But I do recognize that it does have a lot of upsides, which makes it worth your while to check it out and see if what they offer appeals to you. When it comes to signing up, I’m not really sure how you can go about it, since there really is no information about it on the Consumer Village website or on Gongos website. You can try contacting Gongos or submitting an inquiry about it and they might provide you with details on how you can join or they might send an invitation. Just remember not to expect too much here, especially in terms of income potential. If earning good money is what you need, then you might be better off looking elsewhere. Is Earn Money Network A Scam? Is Giftswall App A Scam? Is Darwins Data A Scam? Consumer Opinion Institute Review: A Legit Survey Site That Pays Or Just Another Scam? Crowdology Review: A Legit And Worthwhile Survey Site Or Just Another Scam?